At Hypnos Wellbeing my aim is to provide you with the best standard of fear and phobia treatments in Hertfordshire. I have helped provide care and treatment for many people in the local area and if you suffer from a phobia, I am here to help you. When it comes to treating phobias, it is important to understand what a phobia is. A phobia is considered to be an overwhelming fear of a situation, a place, an object, a being or even a feeling. It is important to recognise that phobias are more than fears, they have been described as a debilitating fear and they can develop for a number of reasons. If a person’s phobias become severe, they may start to live their lives in order to avoid the phobia, which can be very limiting and can cause them and their loved ones anguish. This is why it is crucial to treat phobias effectively and I am here to provide people in Hertfordshire with this support. Which phobias can I help with? There are two main types of phobia, simple or specific phobias and complex phobias. The former is commonly associated with an object, animal, situation or activity and can often be traced back to childhood. The latter tends to have a more negative impact on a person’s life and can cause them great discomfort and upset. It is important to realise that phobias can be successfully treated. At Hypnos Wellbeing I use a wide range of tools and therapies which provide assistance to people suffering from phobias. I have clinics based in Hoddesdon and St Albans, Hertfordshire as well as online for your convenience. Hypnotherapy is recognised as being a successful way to treat phobias because it accesses what causes the phobia and helps to remove the conditioned response that a person has to the stimulating issue. One of the reasons that hypnosis is deemed to be a positive way to treat phobias is that it focuses on discovering the initial event and dealing with that issue. Rather than attempting to treat the symptoms, hypnosis can effectively remove the cause of a person’s phobia, allowing them to live without this strong sense of fear. NLP treatments for dealing with phobias are effective because NLP represents an exploration of the way that people think, how we communicate and act. Much like using hypnosis, the use of NLP when dealing with phobias ensures that the cause of the phobia is being treated, which brings about long term results. I believe it is possible to utilise hypnotherapy and NLP techniques to remove phobias from your life, allowing you to be confidence and happy in your daily activities. You can also find out more About me or find out answers to common questions. For more of my thoughts on Fears and Phobias, see the short video below! 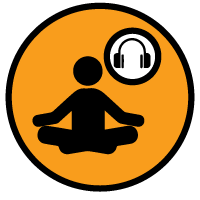 At Hypnos Wellbeing I also have a range of MP3 recording to aid clients where suitable. If you’re not ready yet for personalised one to one sessions why not start by purchasing a recording from our affiliate site below.